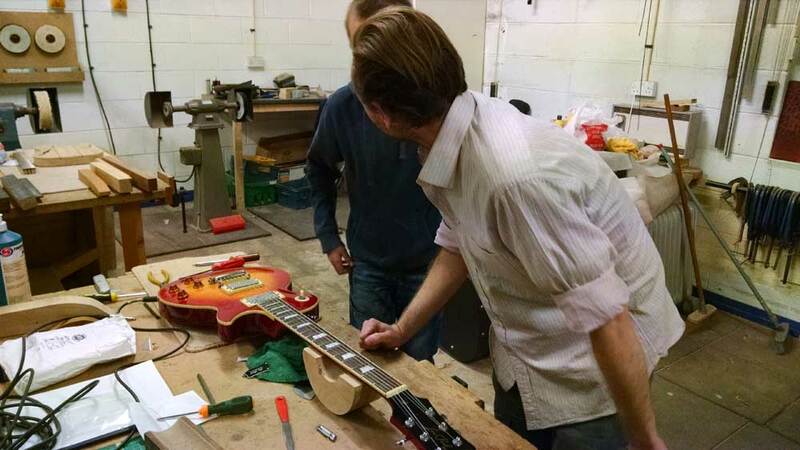 Spent a great day here with James learning the ‘proper’ way to dress frets and set up a guitar. 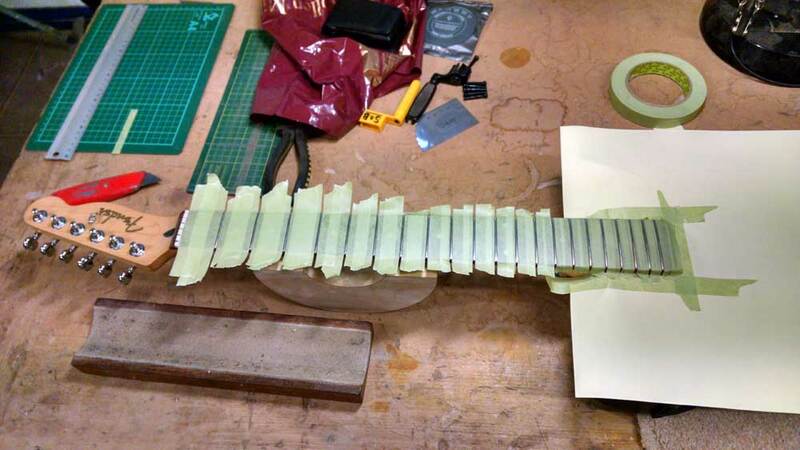 This entry was posted in Featured and tagged Fret Dressing, Luthier, set up. Bookmark the permalink.